Apologies for the late newsletter. We sorta bomb-barded every one during the crazy last days of December and January with updates and activities. In the end, our decision that a tradable bottom was hit in the last week of December was right, our decision to double down into the late December flash crash on our favorite Ultra Income investments in MIC MORL MRRL BDCL NRZ and to hold our 2X AMD and Nvidia positions. There has been no rush to rush new positions--there was too much news flow to come AND I wanted to see our favorite Q4 Software-as-a-Service companies report so we were confident we have ANOTHER winner like Chegg CHGG with we initiated under $28, got around $26 and it now trades at $39. There ARE some big profits ahead in SaaS plays that have dominant share of the key enterprise, small businessand consumer SaaS platforms--Chegg is a great example of owning a fast growing high demand amazing value proposition (save 90% of your college books!) with international "total addressed markets" or TAM untapped. I also admit to a deadline crunch on two manuscripts I owed my publisher Diversion Books--one of the books is "The Transformity Principle" which explains in great detail the philosophy, strategy and tactics that we have used since my ChangeWave Research days in 2000-2010 but vastly improved in the last 7 years of Transformity Investor PRO with our 54.1% annual returns (realized profits, dividends and non-realized equity gains/losses) since 2013. ﻿Ok, so what have we done lately for you? Glad you asked. Next week will have some more dumpster diving--disruptive secular growth companies that got smashed in the flash crash. Also some long term options on Xilinx ( YES I regret taking profits at $88--but really no--I never regret taking profits if a stock gets to 5% of our target.) Xlynx has come on a real 5G chip play like our favorite 5G play Cavium that was bought by Marvel at a 70% profit of us in 8 months. We are doing final work on new "Platformity Dominators" aka as the B2B SaaS companies that, like B2C Chegg, have a killer value proposition that is growing 25% a year for next few years, has $5+ billion TAM, whose subscription renewal rate is OVER 100% and is not priced for absolute perfection. A word on SaaS renewal rates. The REALLY big attraction to B2B and SB2B (small biz) is when they get >100% renewal conversions. How do they do that?Well what happens is the add-on additional SaaS services to the original subscription and/or they add more people and move up to unlimited nodes (ie., users on the service). This is how Salesforce and Adobe -the mega "Martech" meaning marketing technology companies have evolved. Finally—let me share some very interesting work from my friends at Business Insider PRIME. They allowed me to share this with you because, well, I am a long fan and friend of the founder Henry Blodgett from his Internet gogo days. They have assembled I think the best issues for my team and you to consider as we enter the 10th year of economic expansion. We still hold the mild recession 2nd half 2020 forecast. Now, remember--recessions hurt business investment and consumer spending at the margin. That means because growth is slowing, business cuts back on new employees and capital expenditures--at the margin. Consumers tighten their monthly budgets where they can. Recessions are NOT Depressions where substantial economic activity is wiped out. Despite the plunge in the headline unemployment rate from 10% to 3.9% in December, inflation remains below the central bank's 2% target. Globalization, declining unionization, robots, Amazon, Uber, government pressure on drug costs, the competitive race to zero in financial fees, the strong dollar and consumer and business resistance to price hikes are all at work. Comment: This is what happened in December--a Flash Crash created by negative automated selling with no one home to deliver enough liquidity. Comment: David's timing is also about 24-30 months early. "Between the lines of the Fed's mandate is the need to keep borrowing costs for consumers and enterprises in-line with potential growth: if rates are too low (the return on capital is too high relative to the cost of capital), credit bubbles can form, but if rates are too high (the return on capital is too low relative to the cost of capital) constrained credit can weigh on economic activity. Today, we see credit yields as roughly neutral relative to potential growth; hence, we believe interest rate policy has normalized and the Fed policy rate pause we long argued for should support sound economic growth and healthy financial markets. 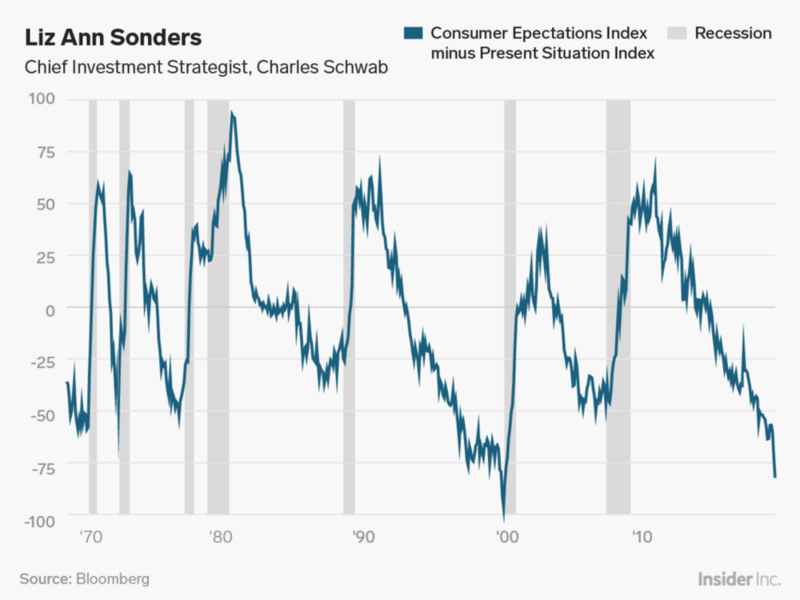 Still, while increased rates could threaten economic activity at this stage, and the Fed should remain patient and cautious, a policy rate hike later in 2019 isn't off the table if economic data improves." Comment: True but both Japan and China HAVE TO BUY US Treasuries to when they sell their currencies to keep export prices low. Comment: True but the Fed watches consumer confidence closely. "To achieve a cleaner comparison, we look at the standardized level of both the China and US manufacturing PMI. The two series trend closely, showing the linkage between the two economies. "The latest weakening in the data has been particularly acute for China which could portend further softness ahead for the US, akin to the early 2016 episode." "Of the many macro uncertainties that pushed market volatility higher in 2H2018, trade war andmonetary policy error have weighed the most. "With [the] Fed turning more dovish and constructive, US-China trade discussion is center-stage and should be watched carefully. A satisfactory resolution of the issue would have positive consequences for global growth and may prolong the current business cycle." Comment: Everyone knows this Scott! Comment: Our data shows the same! 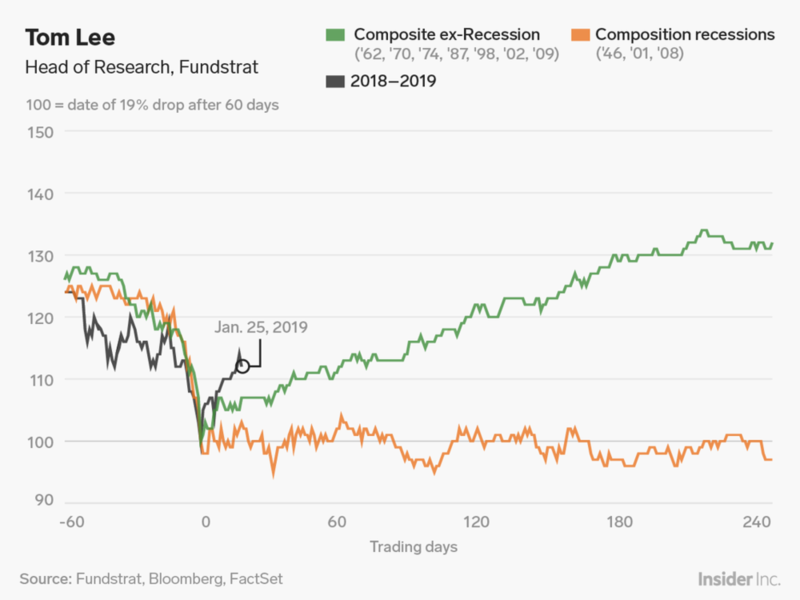 "So far in 2019, the S&P 500 is tracking similar to prior instances of waterfall declines, particularly when the PMI>50 at time of completion of the 19% decline (within 60 days). "Notably, as shown above, equity markets post 12-month gains of 32% on average in the 12-months after waterfall declines (but PMI>50). 2019 falls into this case." Comments: Your lips to God's ears Tom. But Tom also thought Bitcoin would be $25,000 by end of 2018! "Keynes stated that animal spirits are one of the key factors behind fluctuations in the economy and changes in the business cycle. Therefore, a quantitative measure of animal spirits may lead to a more accurate estimation of the potential effect that a change in animal spirits has on the economy.Animal spirits have fallen considerably, as recent market turmoil and political uncertainty have weighed on expectations for economic growth. 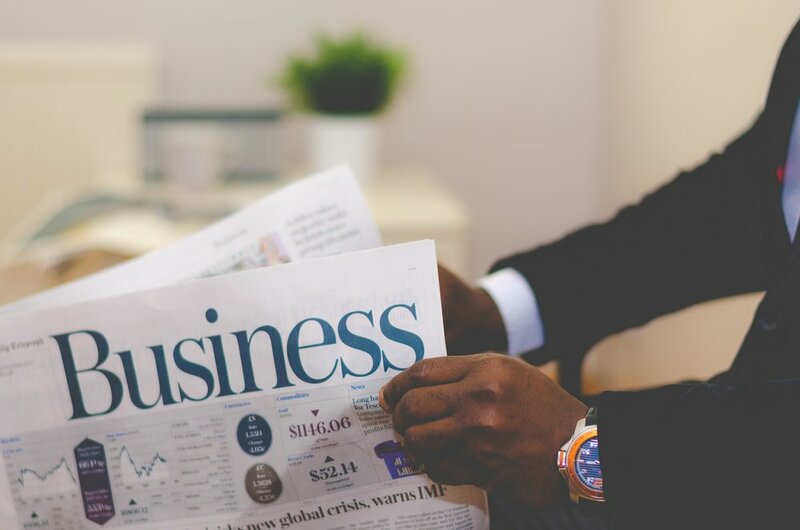 Given the broad-based weakness, business leaders and investors are likely to remain cautious in the near term." Note: "Animal spirits" is the term coined by legendary economist John Maynard Keynes to describe instincts, proclivities, and emotions that ostensibly influence and guide human behavior. Comment: Fed knows this too! Comment: Long and strong for now. "The advent of the Fed 'collar' has been clear in retrospect over the last several years. In periods ofmarket turbulence have all seen the Fed quickly turn to caution. This was the case with the September 2015 meeting hike skip, as well as with the dovish twists of rhetoric and extended pause over much of 2016, and most recently with the post December 2018 rate hike policy reorientation from hikes to caution." Comment: That is what I mean by managing market convexity--Fed has our back! Comment: Do higher wages mean lower margins? They haven't historically." "Economists at the Atlanta Fed created a shadow fed funds rate to measure the full effects of quantitative easing and forward guidance on the funds rate during and after the financial crisis. This rate provides a more accurate reading of the 'true' level of the fed funds rate given the zero bound. 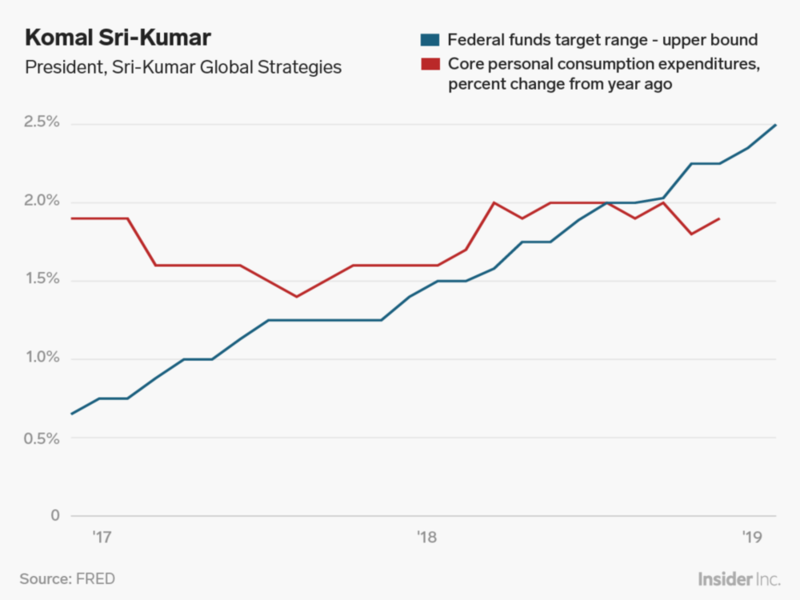 For example, at one stage of the economic recovery, the shadow rate was in sharply negative territory, while the official fed funds rate was slightly above zero. Since then, the shadow rate has meaningfully increased, and the cumulative amount of monetary tightening has been substantial." Since most of the substantial bear markets coincide or precede US recessions this is an important indicator of the likelihood of a sustained bear market in the USA. Current levels are consistent with just a 25% probability of recession. The index is an 'on/off' index so readings less than 100% tend to be highly unreliable. This is a positive sign for the domestic economy and markets." That's all folks...look for new buys! !